It’s all well and good encouraging people to ‘think behaviourally’ about education and training of health professionals but how easy is it for people to begin to do that? In our work with educators and trainers around the world, we noticed that people were keen to use behaviour change techniques in their training but that it was difficult to learn about BCTs and even harder to think about what activities might include them. Building on a study in which we had developed a way to ‘live code’ training to identify BCTs, we gathered together a group of talented educators and health psychologists for a workshop. Taking each of the BCTs which could or have appeared in training, we asked them to think about activities that could be added to training to include each BCT. Funded by the knowledge exchange part of our Health Education England grant (Teams Together), we employed talented designed, Barry Kinder, and together we created the Cards for Change, printed by Chapel Press. They are available on request from us. We are delighted to say that we are working hard with our colleagues from Cape Town to attract funding for work together. In 2017, The Change Exchange organised a knowledge exchange event in Rwanda for people working on health professional practice change in low and middle income countries. Among the invited attendees was Professor Leslie Swartz, Distinguished Professor of Psychology from Stellenbosch University. One of Leslie’s passions is about capacity building African scholars to enable more publication of African research by African researchers in international journals. Leslie runs workshops in many countries for researchers who wish to improve their academic writing skills. We have applied for British Academy funding to bring together research leaders in psychology of health to create a network of others who will follow in Leslie’s footsteps in supporting and enabling psychologist researchers to publish. We are ‘holding thumbs’ (crossing fingers for our UK readers!) that we will get funding. 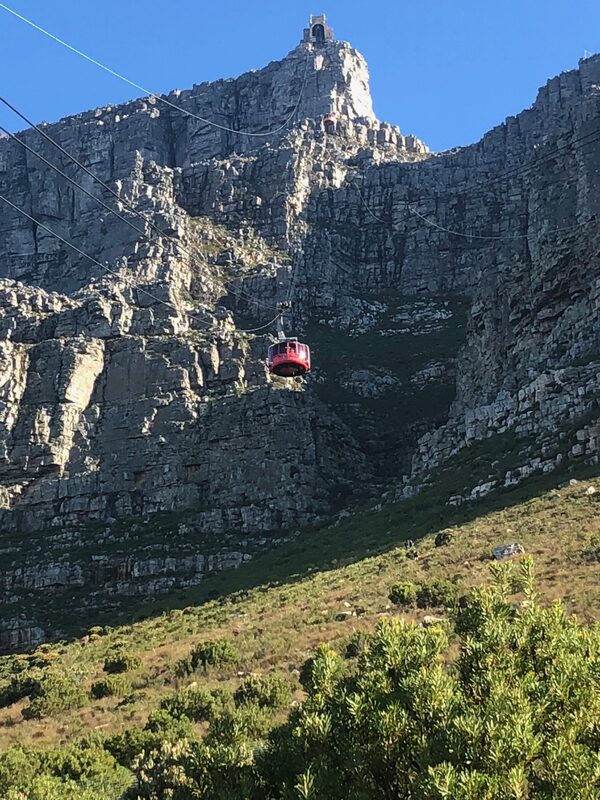 Our visit to Cape Town, in the October of 2017, was inspiring. 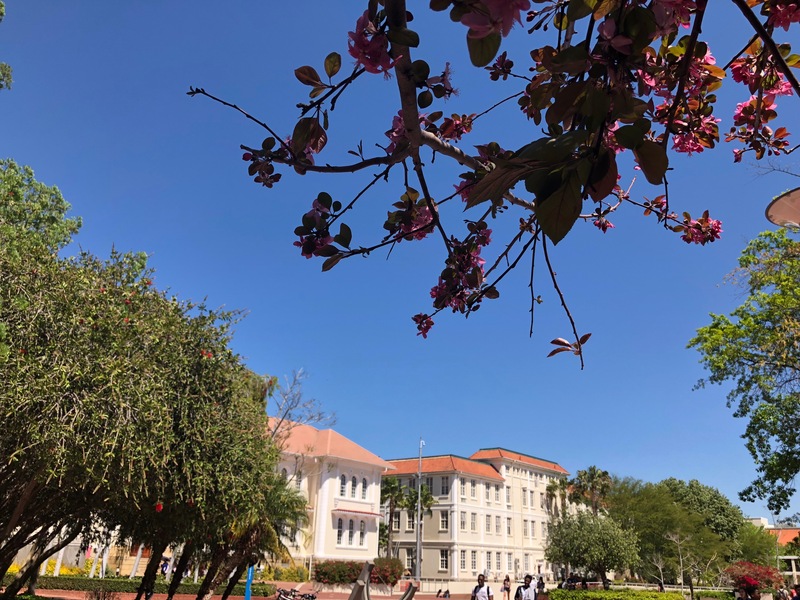 Invited by Leslie, we visited the psychology department of Stellenbosch University, learning about the work being undertaken in health and about the role of health psychology in South Africa. We met Dr Jason Bantjes, a counselling psychologist who researches, amongst other things, suicide. We had many overlapping interests and have had, so far unsuccessful, grant applications together. In our visit, we were presenting our work on behaviour change, including Jo’s work on TENT PEGS – a tool for behaviour change communication and our work with The Change Exchange. Health psychology is not a discipline in South Africa and Jason is developing an excellent project to increase health psychology training, which we will be supporting. You couldn’t blog about Cape Town without mentioning its history and its beauty. Wow. It is breathtaking in so many ways. 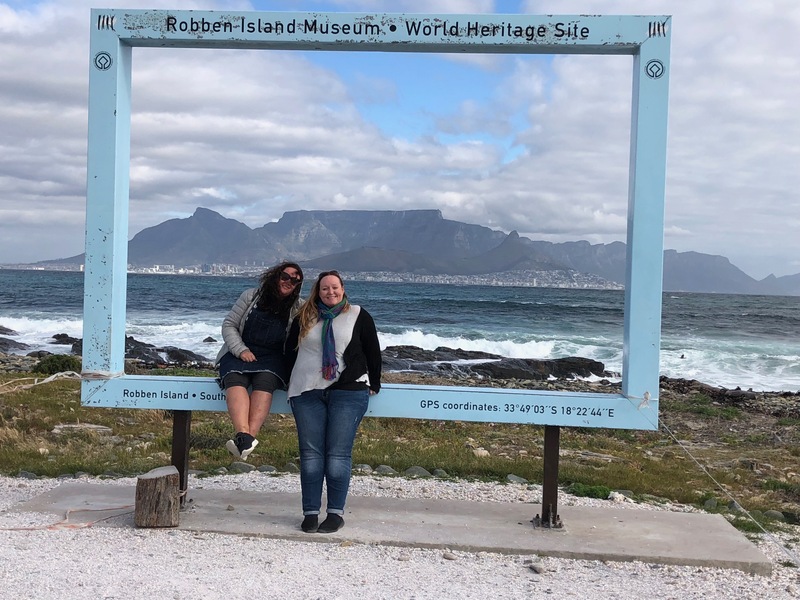 We found time to visit Robben Island, Table Mountain, and to learn more about the history from Jason, Leslie and other psychologists Louise Frenkel and Anthea Lesch. They were all so generous with their time and their welcome was as warm as the Western Cape itself. In an exciting new project for The Change Exchange, we are working with the World Federation of Societies of Anaesthesiologists (WFSA) to understand and explore the impact of their Safer Anaesthesia from Education (SAFE) course. SAFE is 10 years old and has been training healthcare professionals in safe obstetric and paediatric anaesthesia in many countries, most recently in Tanzania, Nepal, Zimbabwe and Bangladesh, with support from the Laerdal Foundation. We are working with the SAFE project team to explore the data they have collected on previous courses, taking a behavioural perspective on the impact of the courses on practice. We are collecting quantitative data on behavioural determinants of key practices across Tanzania, Nepal, Zimbabwe and Zambia. Excitingly, two of our behavioural science consultant volunteers, Eleanor Bull and Nimarta Dharni, are travelling to Tanzania to interview previous SAFE participants, exploring the barriers and facilitators to implementing the learning from SAFE in routine practice. Is it science or just communication? This week, I attended a national meeting about patient centredness and was inspired by the work across the NHS to transform care: empowering patients to control their own health and wellbeing; engaging them by increasing their motivation for healthy behaviours and enabling them by providing opportunities and planning to make positive changes. I reflected on what our Change Exchange volunteers were doing in Uganda and Mozambique and how much of the work was similar to the work on patient centredness across NHSE. Our volunteers are taking cutting edge behavioural science and translating it, at the front line of health education, to increase understanding of what drives people to do health threatening or health protective behaviours. At the same time, they are studying their activities to add to the body of behavioural science knowledge. I thought about what was at the heart of learning to be more patient centred and learning to empower, engage and enable people in self care and it is, of course, communication. I don’t mean “skills” but I mean genuine communication: people coming together to understand each other. As our volunteers reflect on what has been successful in their translation of behavioural science I feel sure that it will be about the deeper understanding of people that the deeper understanding of behaviour facilitates. http://www.mcrimpsci.org/wp-content/uploads/2016/10/logo-300x102.png 0 0 MISC http://www.mcrimpsci.org/wp-content/uploads/2016/10/logo-300x102.png MISC2016-06-17 10:30:182017-09-19 14:50:22Is it science or just communication? It has been a fantastic week working with our Ipswich colleagues and partners in Beira Central Hospital. This amazing partnership aims to help improve patient safety through projects related to two key strands: equipment maintenance and medication safety. We have been predominantly involved in the complex strand of medication safety, through conducting interviews, focus groups and questionnaires with staff involved in implementing new medication safety procedures. We have also attended drug calculation training and coded the training for behaviour change techniques; presented information to Beira healthcare staff on the role of Health Psychology and the importance of behaviour in healthcare; and worked with our Ipswich partners to deliver training on antibiotic resistance. All of this work would not have occurred without the invaluable translation help from Luana and Ermerlinda, as unfortunately our Portuguese does not stretch far beyond Obrigado!